Great location for small shops, big box, or combination. Excellent visibility from I-49 (formerly MO Hwy 71). 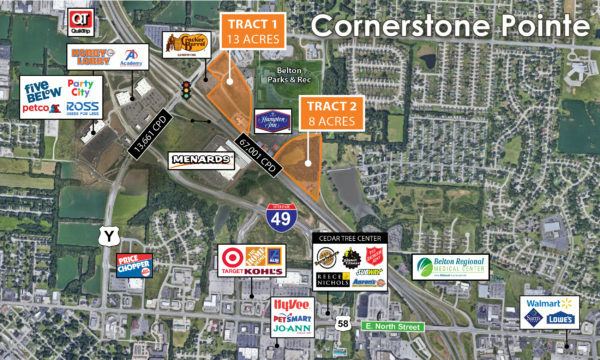 New intersection is now home to Menard’s, Hobby Lobby, Academy Sports, Ross, Petco, Five Below, party City and more.